how would you like to bill 8 to 10 million dollars per year, all from your website? 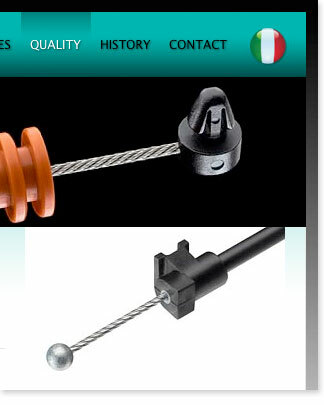 Beretta srl in Milan Italy is a world leader in the design and construction of flexible transmission, bowden cables, push-pull systems and suspension components for lighting. They came to LR Communication Design when they needed to replace their Flash site with a search engine friendly version based on HTML and CSS technologies. We created a sophisticated online brochure for them in italian, english and german that conveys their product range and their services in a simple, easy to browse set of pages. The site is made of many pages but it still feels simple. Visitors find it easy to understand Beretta's message and find it easy to contact Beretta. And that, after all, is the point of the site. Here is a search on Google.it. Try it: cavi bowden. 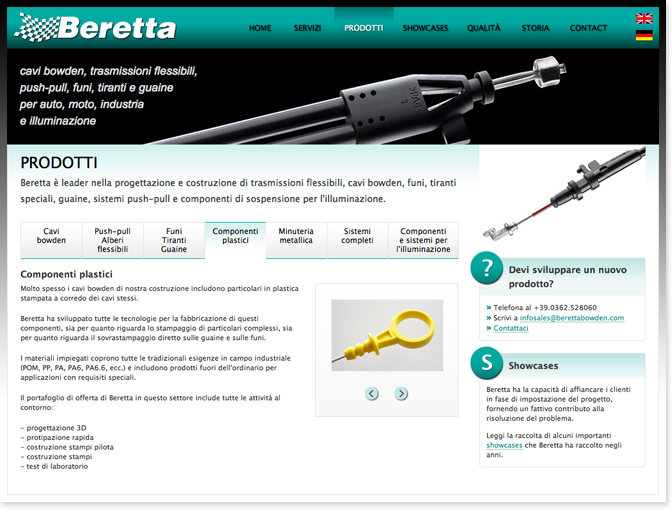 Without any other SEO expense or effort Beretta consistently shows up on page one of their primary market, Google.it. Why? How? We built the site so it would have the best chance for ranking in the natural search results. 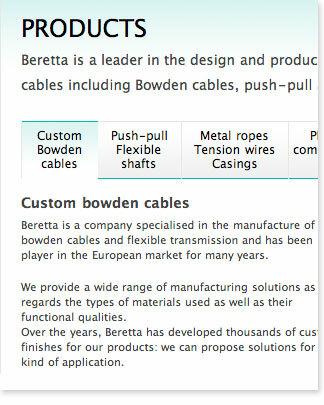 Beretta is very happy with their site. They are keen to show it to prospective customers and they love the results they get. We continue providing maintenance and updates for them. They have found clients and billed projects for between 8 and 10 million USD per year, year after year. 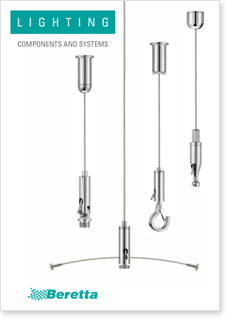 We also designed a company brochure and catalog specifically for their lighting products. Detail from BerettaBowden.com - Quality page. Detail of the sub navigation system. 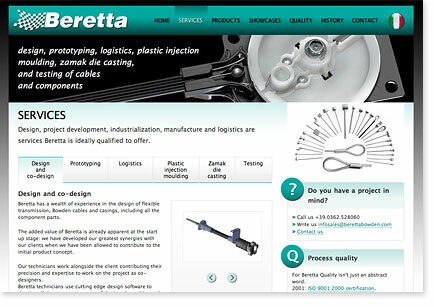 One of the jQuery based image galleries showing Beretta's products.